In Florida, our homes are vulnerable to a range of natural disasters, from hurricanes to sinkholes, to flooding, to fire. Individuals take out homeowner’s insurance to protect their investment in their homes and to cover them should their homes need repairs. If you have a mortgage or if you have a pool, you may be required to take out homeowner’s insurance under the law. How much you are covered depends on the kind of homeowner’s insurance package you purchase. Homeowner’s insurance can cover the building, fences, and personal property in your home, and loss of use of your property should you need to reside elsewhere while your home is repaired. If you own antiques or other special property, your policy may have certain limits on how much is covered and you may need to purchase additional insurance. Some policies may also protect you if another person is injured on your property. It is important to understand what is and isn’t covered by your policy and to make sure that your policy covers the replacement cost of your home, not just the purchase price. The cost of rebuilding and repairs may be more than the cost of your home. Some policies don’t cover wind damage and most policies won’t cover flooding unless you specifically purchase this coverage separately. If you are not in a flood zone, you mortgage holder may not require it so you may not have it and not even know. It is best to check your policy now, before there is a problem, than to learn later that you didn’t have the coverage you needed. If your home has been damaged, you’ll need to make a homeowner’s insurance claim. Your insurance company will most likely assign an adjuster to your case. The adjuster’s job is to inspect your home for damage (or to send someone on their behalf if they are not based locally) and to determine how much money the policy will pay out. It is important to make sure that your adjuster is licensed in Florida. In some cases, the money an adjuster offers doesn’t cover the cost of repairs or replacement. If this describes your situation, you may want to retain a public adjuster to estimate your losses or to speak to a homeowner’s insurance claim lawyer in Fort Lauderdale, Florida. Public adjusters, if they are knowledgeable and honest, can be a huge help in these matters. However, in some instances, they may not be necessary if you have an attorney assisting you with your claim. We suggest that you speak to a qualified homeowner’s insurance claim lawyer as soon as you believe you may have a claim to determine what is best for you. A homeowner’s insurance claim attorney can review the details of your policy, independently assess damages, and fight for your rights. Insurance companies have a responsibility to meet their responsibilities to policy holders. If you feel that your insurance company isn’t meeting its responsibilities, a homeowner’s insurance claim lawyer in Fort Lauderdale may be able to help. Leader, Leader & Zucker, PLLC Attorneys at Law are homeowner’s insurance claims lawyers who fight for homeowner’s rights in Florida. 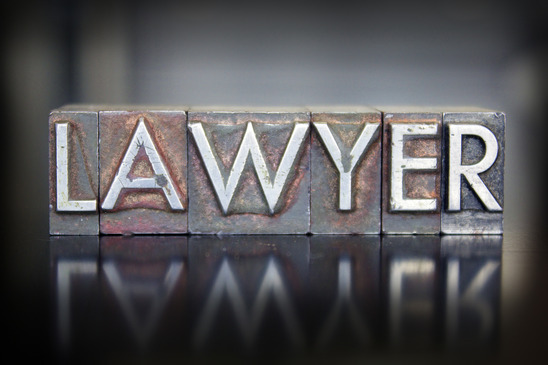 When Should I Contact An Insurance Bad Faith Lawyer in Fort Lauderdale, Florida? Insurance bad faith is when an insurance company delays in paying a claim or refuses to pay a claim that it should pay based on a person’s insurance policy. Insurance companies have a responsibility to their clients to pay claims if the client is covered by a policy. Bad faith occurs when an insurance company willfully and intentionally refuses to meet its contractual obligations. Insurance companies must deal with their clients in good faith. They have a right to send an adjuster to investigate a claim and to make what they believe to be a fair settlement. Those who are insured also have a right to negotiate with adjusters and the insurer if they believe they are entitled to more money. Insurers have to provide reasoning for their estimates and settlements. If this reasoning isn’t sound or is based on mistaken information, they may have to pay more. This process, in itself, does not constitute bad faith. However, if an insurer refuses to pay a claim when it should do so, if the insurance provider tries to deny a claim even when it is covered in the policy, or delays payments, an insurer may be acting in bad faith. Unfortunately, bad faith is becoming more common as insurance companies hire independent adjusters to work contractually and as they use computer programs to estimate losses statistically rather than based on actual damages. Sadly, in some cases, the only way to get the settlement you deserve is to first know how much your damages are worth and to fight your insurer if they do not offer you the settlement you believe you are entitled to receive. Leader, Leader & Zucker, PLLC Attorneys at Law are Fort Lauderdale insurance bad faith attorneys. Our firm works closely with individuals who need help with their claims and fights to hold insurers accountable under Florida law. 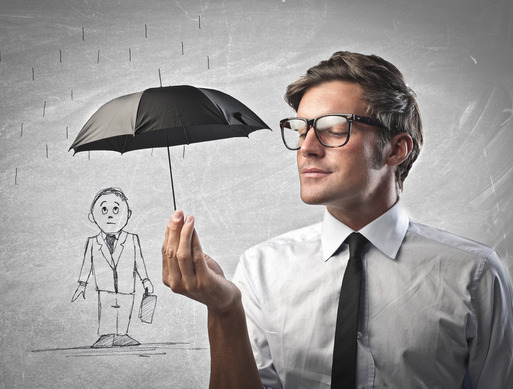 Reverse bad faith is when an insurance company claims that a policyholder is acting in bad faith against the company. The insurance company may be able to claim reverse bad faith in a case where an insured person commits fraud in order to collect on a policy. In order to protect yourself from reverse bad faith claims, it is important to understand the terms of your contract with your insurance company and to seek damages only when these losses are covered. Your own actions can impact a claim. For instance, failing to properly secure your home in a storm, or causing a fire and then making a claim, can result in a reverse bad faith action against you. Likewise, if you have a prior claim that you were paid for, never make the repairs and have a subsequent claim again seeking recovery for the same damage in your last claim, you may be guilty of insurance fraud ,lose coverage and subject yourself to numerous problems. If you are facing a reverse bad faith claim, you need a reverse bad faith insurance lawyer on your side. Contact Leader, Leader & Zucker, PLLC Attorneys at Law today to protect your rights. Insurance bad faith happens more often than most would like to admit. Insurance companies are increasingly fighting to protect their bottom lines. They may use many tactics in order to do this, from delaying payment, to denying claims outright. If you are having trouble with a claim from your insurance company, an insurance bad faith attorney in Fort Lauderdale, Florida may be able to protect your rights. Leader, Leader & Zucker, PLLC Attorneys at Law are caring and compassionate lawyers who understand the unique challenges families and individuals face when their homes have been damaged. We work hard to see that insurance companies honor their responsibilities.